Pair continues consolidation at current minimums. In our opinion, the basic scenario for this currency pair is the forming of ascending structure towards level of 1.3510. 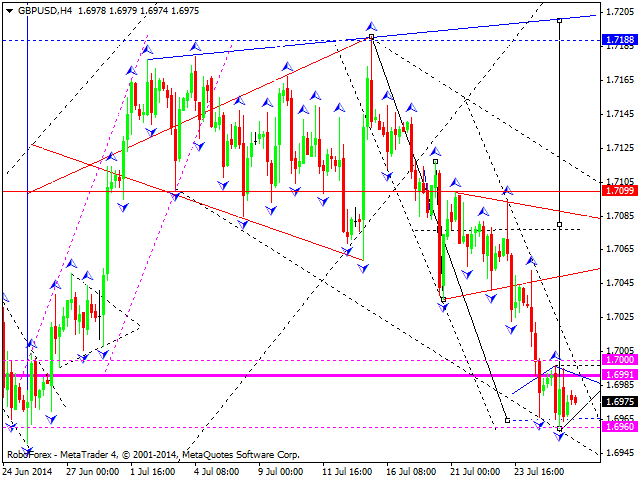 Then, price may start falling down and reach level of 1.3470. 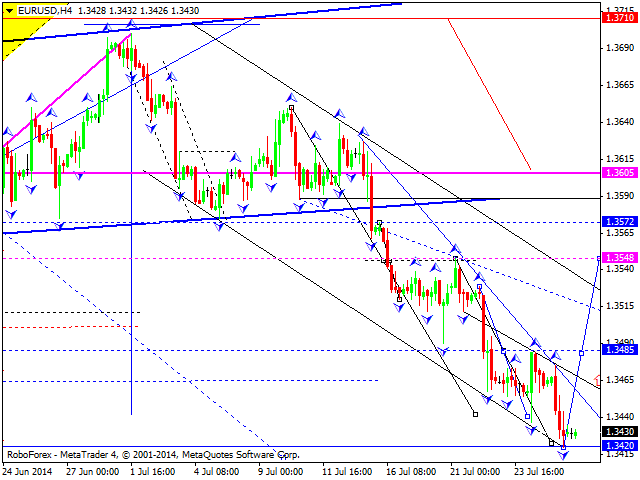 After reaching it, another ascending structure may be formed and price may reach level of 1.3590. Pound continues its consolidation process. The basic scenario, in our opinion, is that price will be moving upwards inside ascending wave with target at level of 1.7500. Pair continues consolidation near its maximums. Today descending structure may be formed and price may reach level of 0.9000. Then, as we think, price may resume moving upwards towards level of 0.9030. After reaching it, price may resume descending movement towards level of 0.8955. Yen is still consolidating inside the trading range. 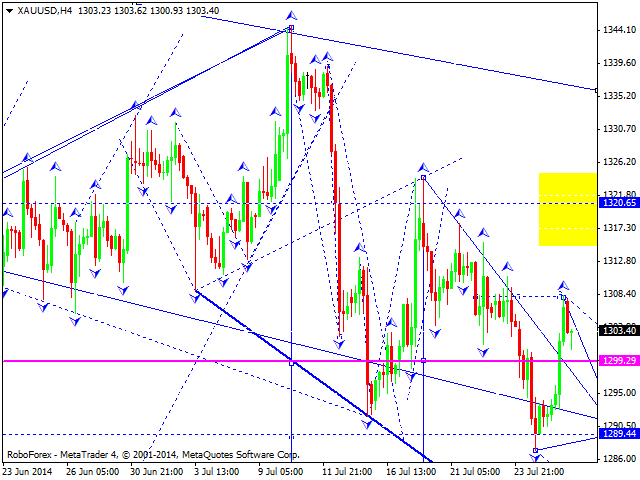 The basic scenario for today is that price may start descending movement with the target at level of 100.50. 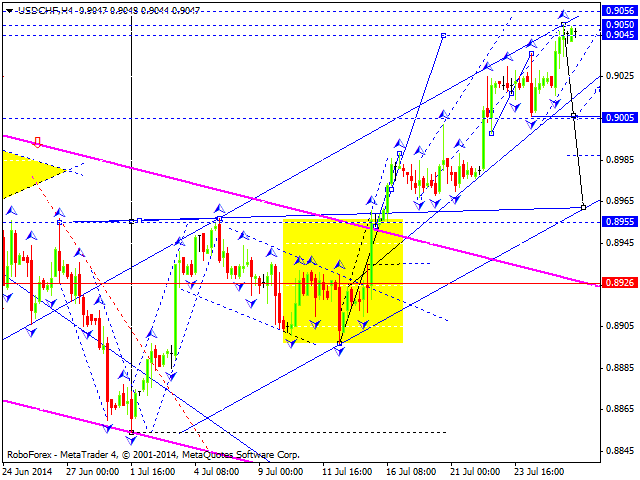 Australian Dollar is still moving inside descending structure as correction. 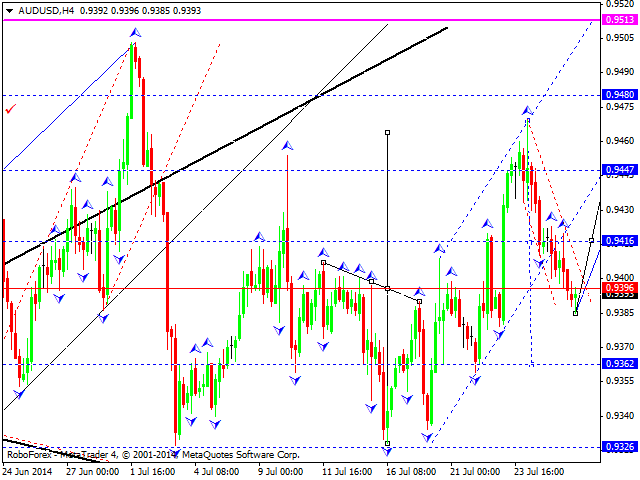 The ascending wave is forming and price may try to reach level of 0.9510. As an alternative scenario, in our opinion, price may start falling down towards level of 0.9370. After it, we expect the ascending wave again. Ruble is still moving in the ascending channel. We believe the third correction wave is possible. 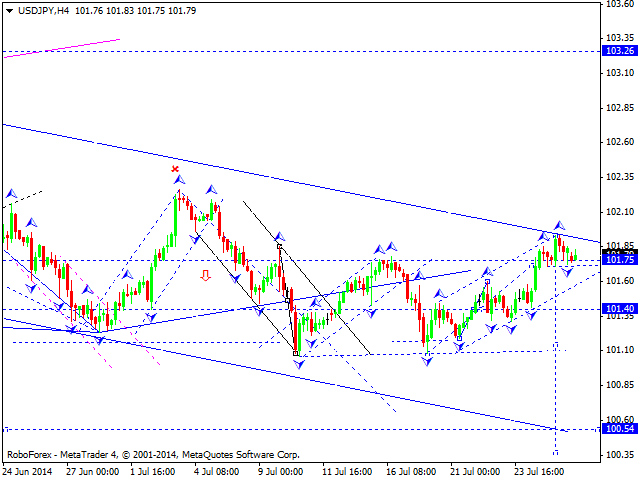 The main target of the wave is level of 35.45. Then, price may reach level of 34.60. 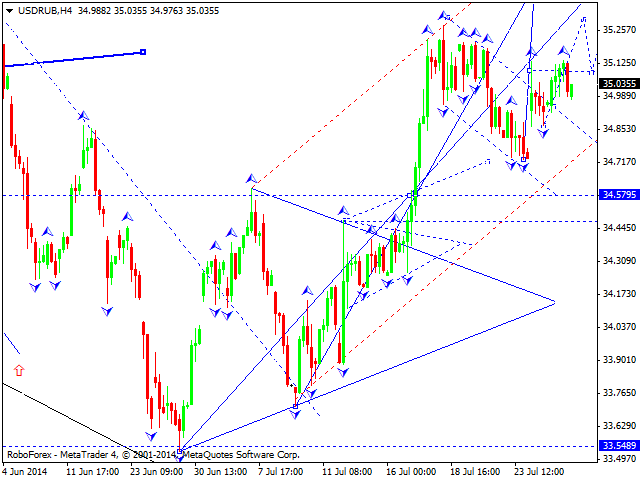 After it, we expect one more ascending wave with price moving upwards towards level of 35.60. When price reaches this level, the fourth correction wave will be completed. Then, price may start descending movement again and reach level of 33.20. Gold continues its recovery pattern. We expect price may try to reach level of 1311. Then, descending wave may be formed and level of 1290 may be broken. We expect the third descending wave. The target is level of 1275.